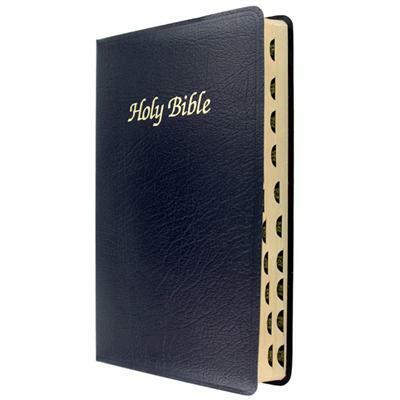 This sharp First Communion bible comes in a dark blue imitation leather and has "Holy Bible" written on the front cover. 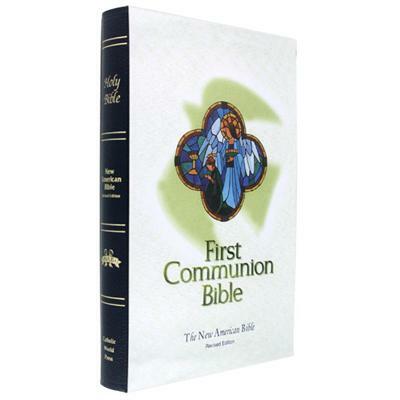 This First Communion bible is conveniently indexed so a child won't have any difficulty locating his or her favorite book of the Bible, making it easy to use. Made to commemorate a child's First Holy Communion, it uses the popular and easy NABRE translation. 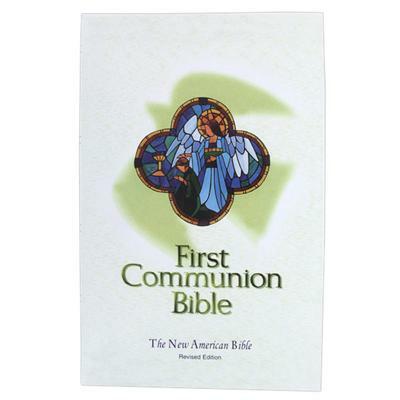 Shrink wrapped (when not imprinted) with a First Communion 'J' Wrap page. 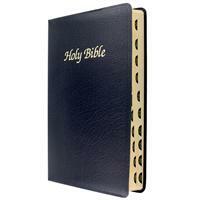 Size: 5.5" x 8.5"
Ordered this bible as a First Communion gift for my nephew. It was lovely and my nephew loved it. 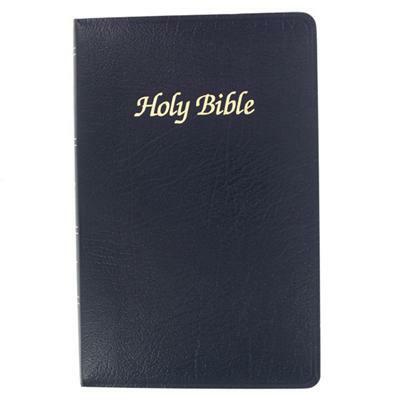 Thank you for making this wonderful bible available! The First Communion Bible is beautifully bind in the color navy and the engraving on the cover was so very perfect! Such a beautiful gift, my little nephew loved seeing his name on the cover. I love the thumb index, and the contents is more than I expected, so nicely done! 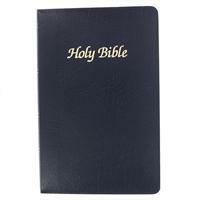 This bible can be used even through adulthood! 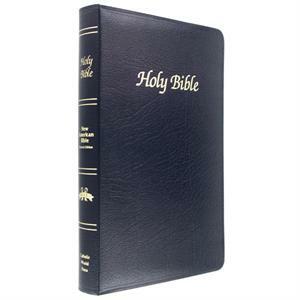 It is the nicest and most perfect bible I've seen! Quick delivery! Thank you for making this wonderful bible available!